In my first position at the SFMTA, I managed the bicycle parking program. 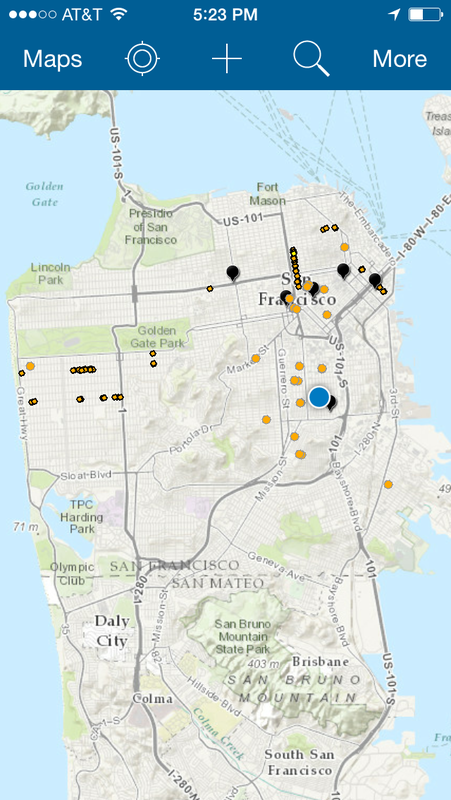 Within six months I had exceeded the goals of the program by 50% installing over 700 bike racks citywide, introduced new processes for making the program more efficient, built a mobile ArcGIS data collection application, and initiated and launched a new program to bring public art into on-street bicycle parking facilities. Shown here is the web application I built using ESRI ArcGIS Online software. 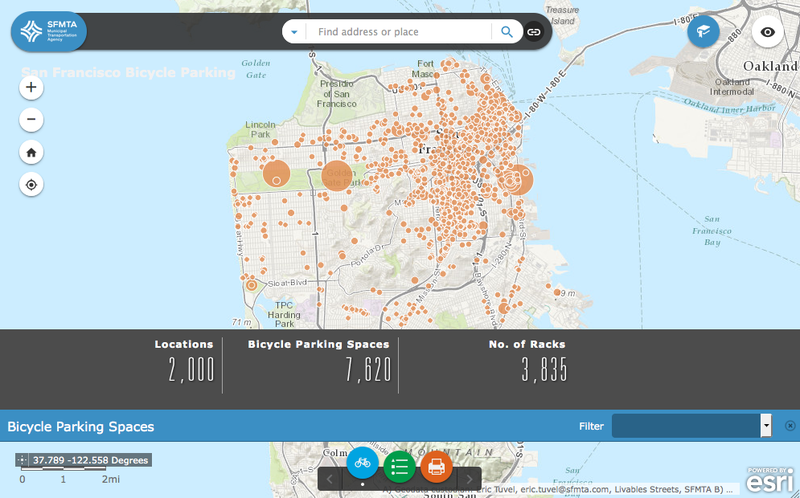 The online web map is a public facing application to allow users to locate bike parking and the mobile application is for internal use by staff to collect field data.